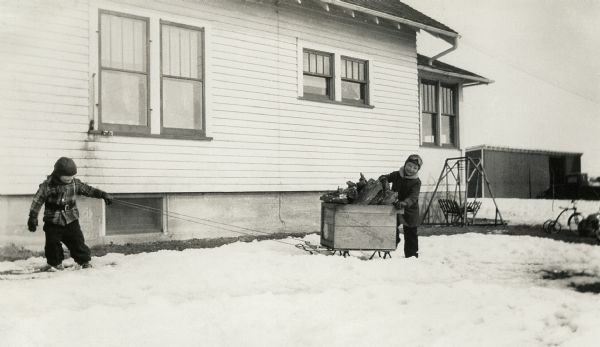 Winter scene with young Richard and Ralph Quinney hauling firewood on a sled through the snow past the farmhouse. Image included in Of Time and Place: A Farm in Wisconsin chapter three, "The Farm." Written by Richard Quinney and published by Borderland Books, the book traces the author's family history and genealogy.